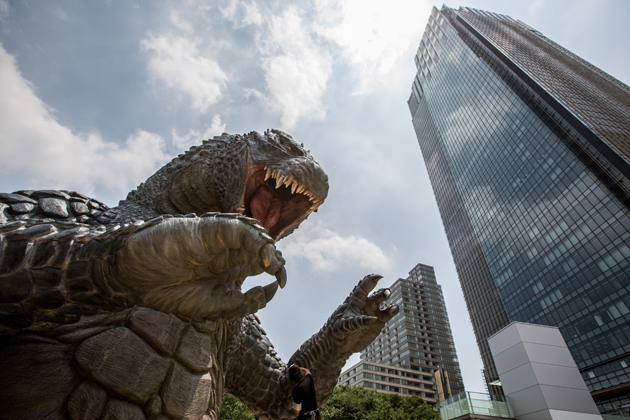 Tokyo’s midtown has a giant Godzilla statue. 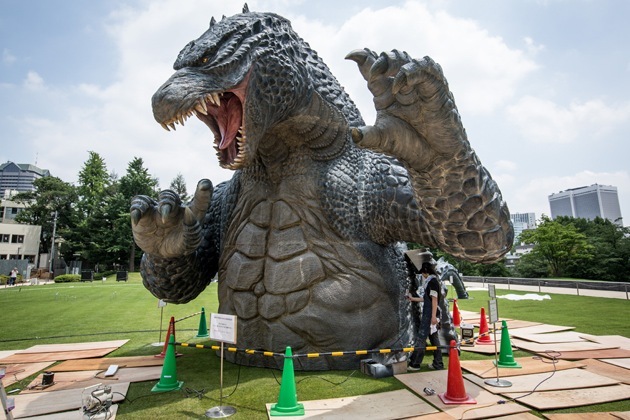 The massive statue was created to mark the Japan release of Gareth Edwards’ new blockbuster. Functions of the ‘Godzilla’ statue, include fire rays and a light show. 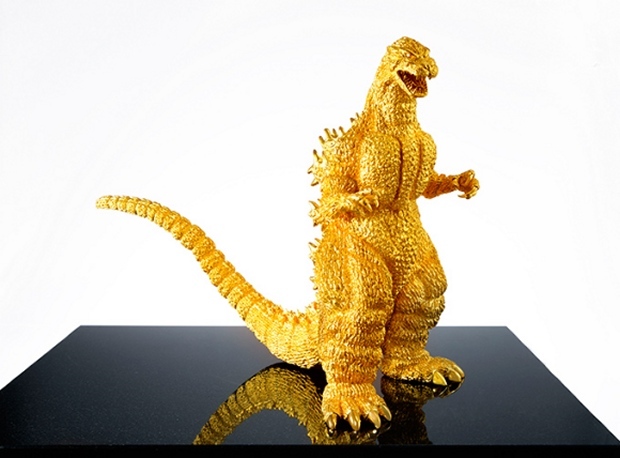 The Ginza Tanaka jewellery company have made a solid gold monster to celebrate the beasts’ 60th birthday. It stands about 10-inches tall and weighs 33-pounds. You can buy it for 150-million yen (about $1.47 million USD).